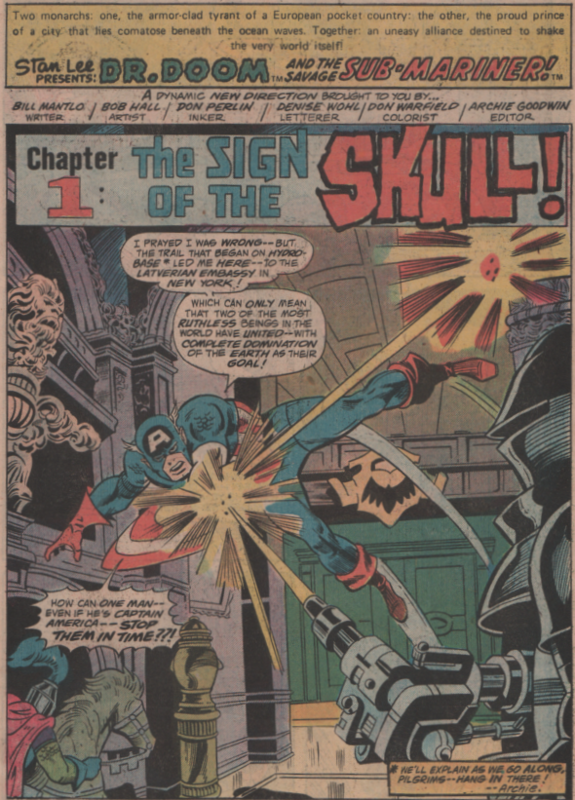 Super-Villain Team-Up 10, 1976 “The Sign of the Skull!” | Magazines and Monsters! 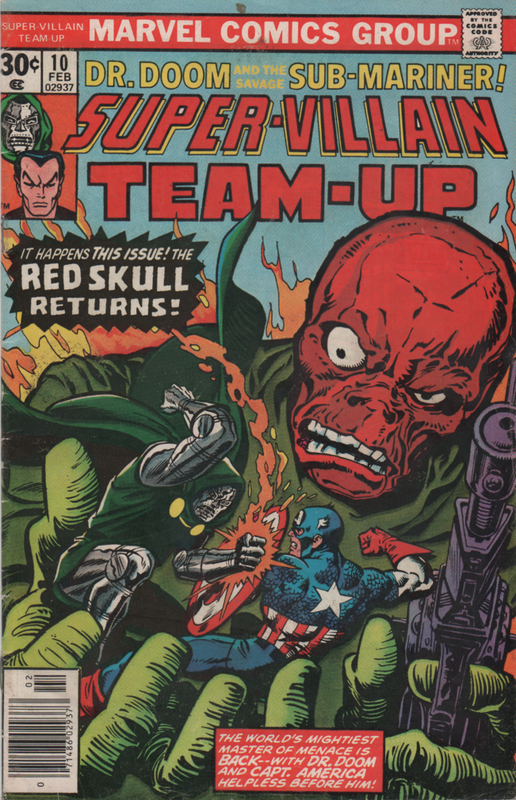 Don’t be alarmed, but this issue is actually part four, the conclusion to a crossover with The Avengers (155, 156, along with SVTU 9). 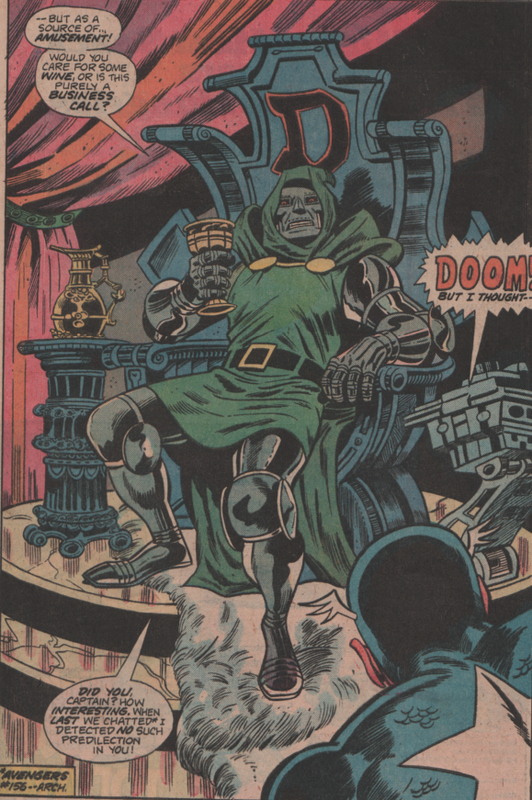 In this wild story we see everything from Dr. Doom, two of him to be exact…then the Avengers, Shroud, The Whizzer, the Ringmaster and his Circus of Crime, Attuma, and of course the Red Skull! It was only 1976, but this crossover had a a lot going on. You have Cap and Doom, first fighting, then agreeing to team up against a common foe. 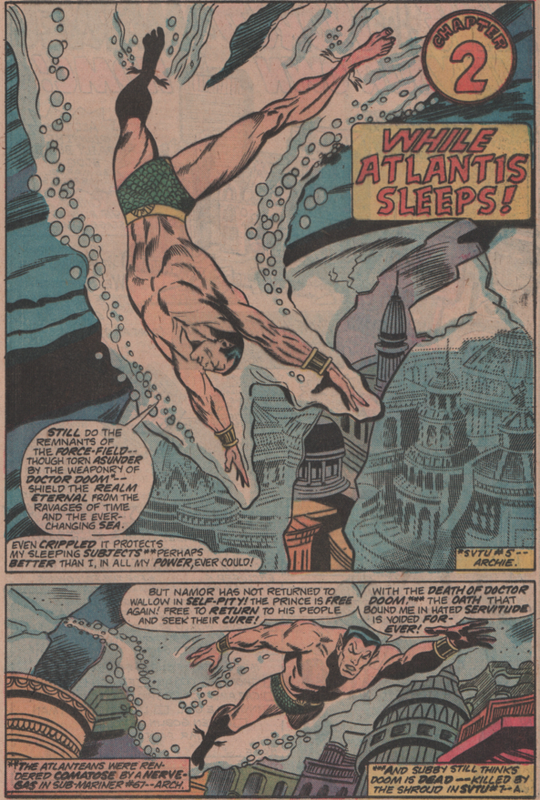 Then we have Subby fighting off an attack on Atlantis. 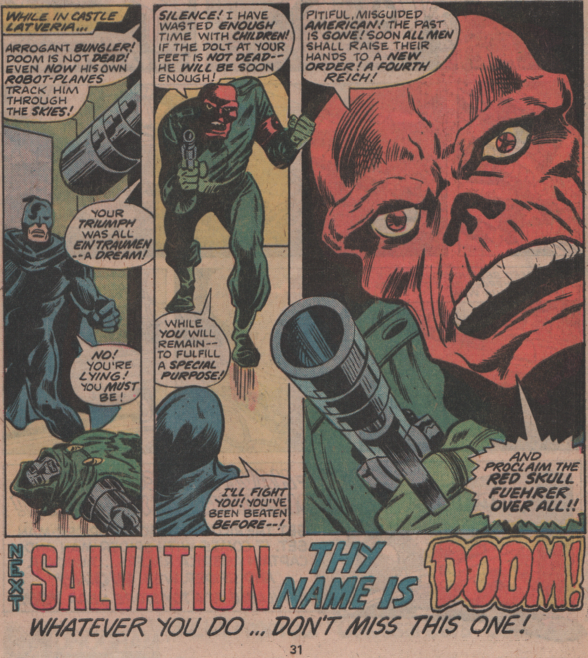 And if all that wasn’t enough, you see a fake Dr. Doom (Rudolfo) and Shroud being attacked by the Red Skull and his forces who have taken over Latveria! Yeah, a lot going on, but a ton of fun! The credits for this book are a roll call of Bronze/Copper Age awesomeness. You get Bill Mantlo (Micronauts, ROM) writing this one, and it fits his style perfectly with all the shenanigans. The art team is Bob Hall (pencils) and Don Perlin (inks), and these two guys work very well together. The rest of the team is Denise Wohl (letters), Don Warfield (colors), and Archie Goodwin (editor)! And the fabulous cover is by Gil Kane and Ernie Chan (some alterations by John Romita)! This was a great write-up of a fantastic issue. Enjoyed reading it, Mr. D!